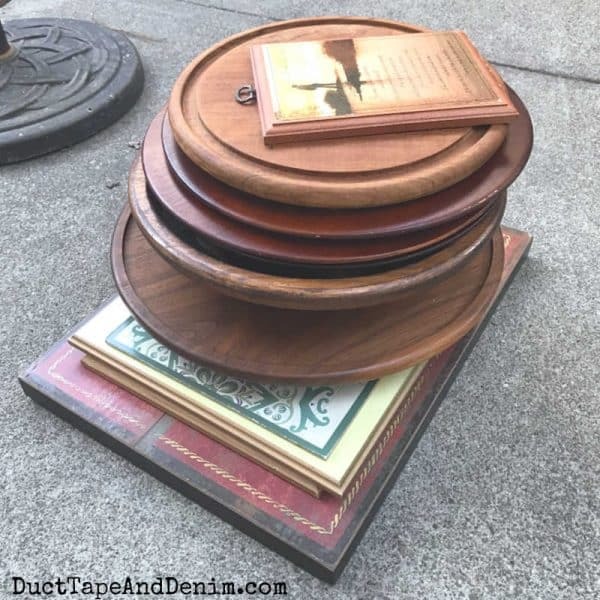 This stack of thrift store finds is from one amazing day of thrifting! I think we hit FIVE thrift stores. 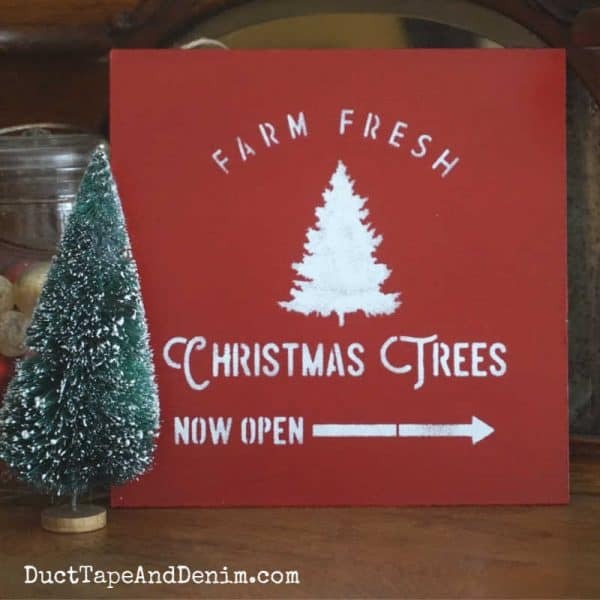 I was on the hunt for wood pieces to try out my new Christmas tree stencils. Thrift shopping is such a hit and miss activity. Some days I find nothing and other days I fill my Jeep up with lots of goodies! Here’s a close up of one of the thrift store signs I bought to makeover. It was marked $3.00 but I was shopping on half price day. So it was only $1.50! Cute, but doesn’t fit my decor. I knew I could make it cuter! It took a couple of coats of red paint to cover the previous graphics on the sign. I’ll call it 2 1/2 coats. When the varnish was dry, I used washi tape to hold the Christmas tree stencils in place. 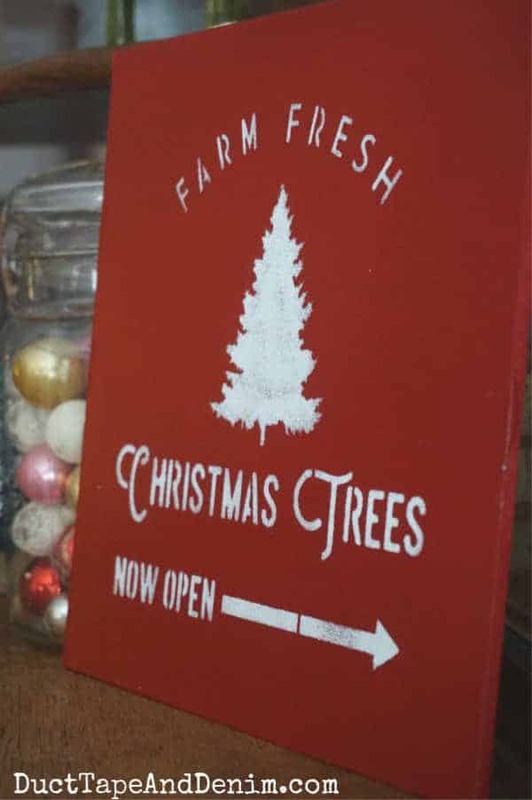 Sometimes I use spray adhesive to hold my stencils but washi tape worked well for this DIY sign project. BTW, you’ll see those chargers in the background in another Christmas project coming up soon. I removed some of the white paint from the jar and spread it out onto a paper plate. This keeps me from getting too much paint on my stencil brush. 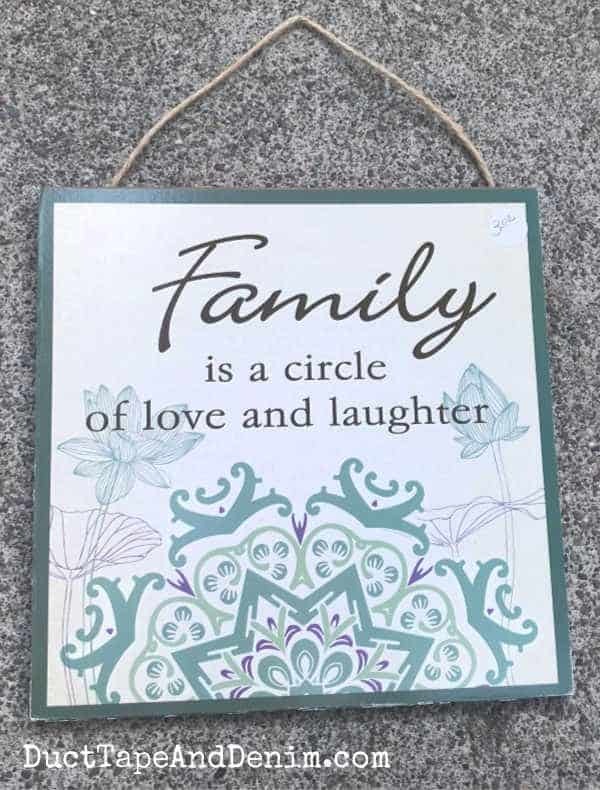 That’s one of the keys to stenciling! Get some paint on your stencil brush and then “offload” it. Then I just pounced the paint onto the stencil. It’s better to do several light coats instead of one heavy coat. Once the white paint was completely dry I went back over the sign with another coat of light satin varnish. 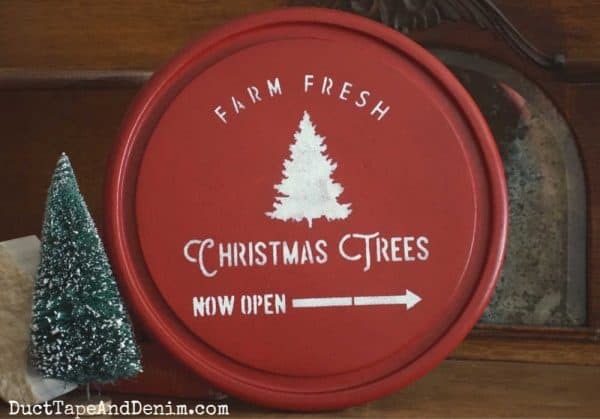 This Christmas tree stencil works well on square items AND round items. And here’s another close up of the Christmas sign. I was really happy with how they turned out. Thanks for reading! 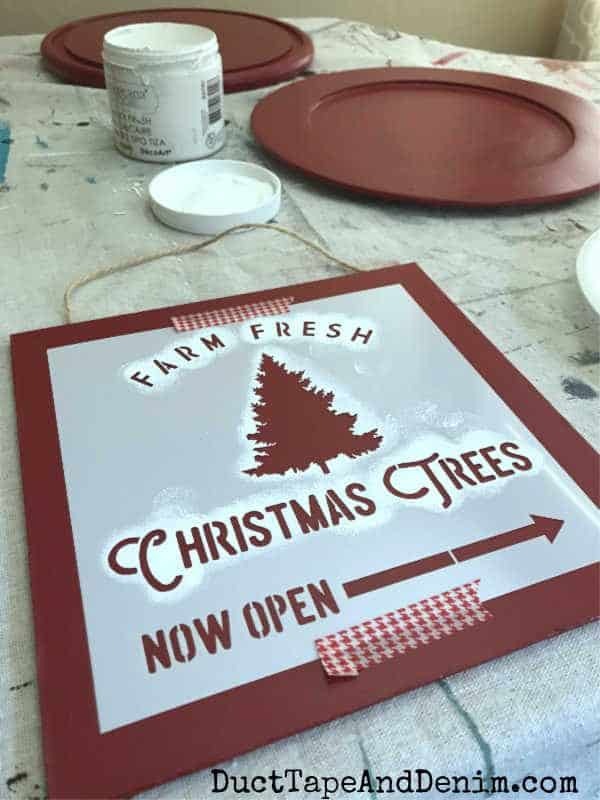 Have you used any Christmas tree stencils? Leave a comment and let me know. I love finding thrifty items for easy makeovers. These sign turned out really pretty! Love that stencil!